Part of our responsibility to the communities we serve is to ensure that the communities are themselves empowered to grow and be self-sustaining. Our projects focus on providing opportunities to grow personally and develop individually. We believe the family is the key building block to strong communities. We utilise asset based community development. ​The communities own our projects. We don't. Communities are made up of many parts. At Mfesane, we realise the need for a holistic approach to the whole person. For example, a hungry child can't learn. In the same way we cannot focus on just one part of a community to the exclusion of another. To this end we work with individuals so they can strengthen families and thus build true "community". Our child and youth care workers serve children one meal per day, five days a week, provide psychosocial support, family counselling, conduct home visits where we assist with homework, apply for child support grants and birth certificates and assist with any other tasks these children and families need our help with. ​We also host immunisation drives, health promotion campaigns, a Vitamin A campaign, circumcision awareness and development of family support groups. Our East Coast Drop-In Centre serves meals, offers educational support, provides social support, family counselling and also offers play activities and sport opportunities. The team is comprised of social workers and child and youth care workers. South Africa's youth faces massive problems like unemployment, teenage pregnancy and substance abuse. By offering community services through our Youth Cafes in the community to this at-risk group we can help develop adults who have strong values and a bright future. Our Youth Cafes provide the opportunity for youth to apply for learnerships, apprenticeships and internships and assist young people to access bursaries for further tertiary studies. Different programmes are run in the Cafes, including music, art, drama, job readiness, leaderships, basic entrepreneurship, job placements and drivers' licenses. The Cafes also offer an After School Game Changer programme which provides tutoring for primary and high school students, as well as assistance with research and assignments. 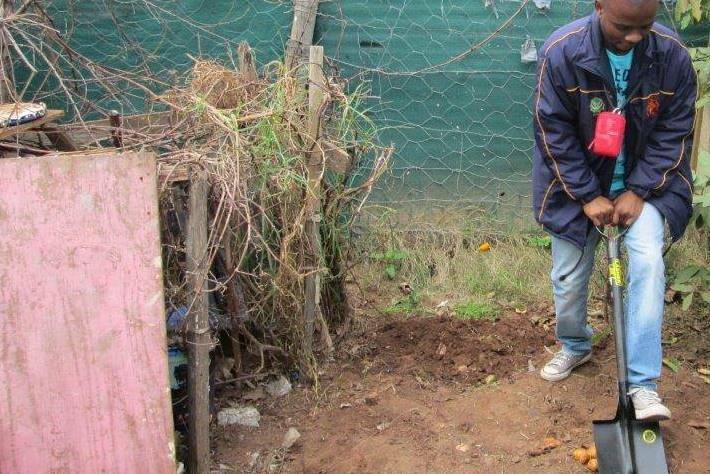 A food garden is a self-sustaining way to eradicate extreme hunger in communities. Food gardens also aid overall health by helping beneficiaries to take their medication on full (not empty) stomachs, thereby ensuring less defaulting on chronic medication. As a Christian development agency, we want to get the Church more involved in the lives of the community members they seek to serve. We invite local churches to be part of our programmes and try to mobilise them through opportunities to serve and by providing training and information to their members. Agents of change: ​Building on the Christian values of care and compassion, Mfesane has helped build a base of hundreds of volunteers from over 11 churches who have been trained in helping to de-stigmatise HIV in their communities. These volunteers have also created care programmes for their churches to take care of the sick in their communities. ABCD approach: As agents of change within their communities, an Asset Based Community Development approach has been adopted to empower communities, allowing people to take charge of their own development and future. 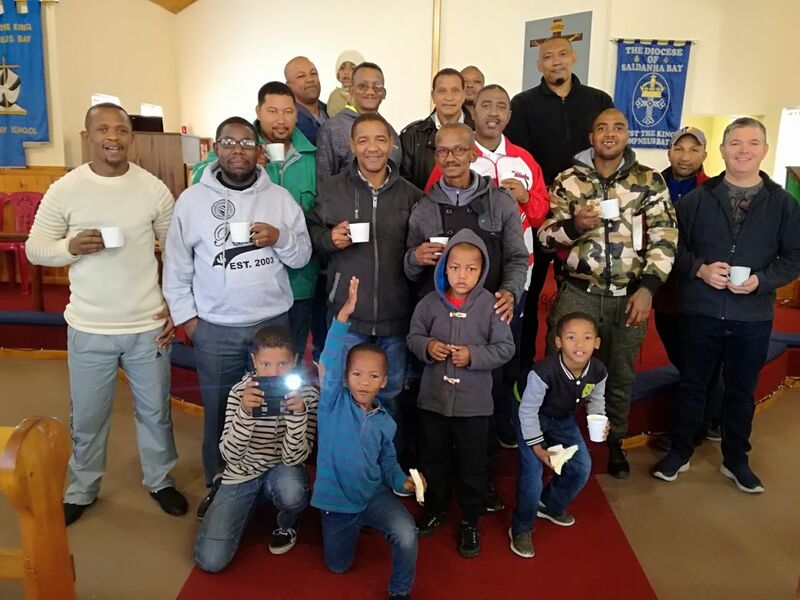 Fatherhood focus: Mfesane has also helped local churches to facilitate fatherhood networks which focus on peer support for men as they explore the role of being a husband and father. The aim is to encourage and strengthen men in their important contribution to strong families and society. Counselling is a service we offer - a very necessary one. Earlier this year (2018) a young girl was attacked viciously while walking home one evening through the fields near her house. Her friends only just saved her life when they pulled the man from her. The girl was referred to Mfesane for trauma counselling after her release from hospital. Using a tool called Trauma Incident Reduction (TIR), our social worker facilitated 5 sessions of counselling and helped the young woman work through the emotions and experience of her attack. She returned to school and wrote her mid-year exams. Together she and the social worker have put in place a support plan for the remainder of the year which includes not only the victim, but her family, friends and the community. To enter a church and talk about HIV, STIGMA and DISCRIMINATION is probably one of the most difficult things to do. This is something Mfesane works WITH churches to do. And we've seen amazing things happen when a church tackles the local discrimination attitudes about HIV by simply talking about HIV from the pulpit. We're privileged to be able to equip churches and church leaders with the tools they need to encourage, inform and lead their people through tough topics to attitude and transformational change.